Slowly but surely little bits and pieces of the sort-of-but-not-really-unnanounced Mega Man X Legacy Collection keep slipping out. 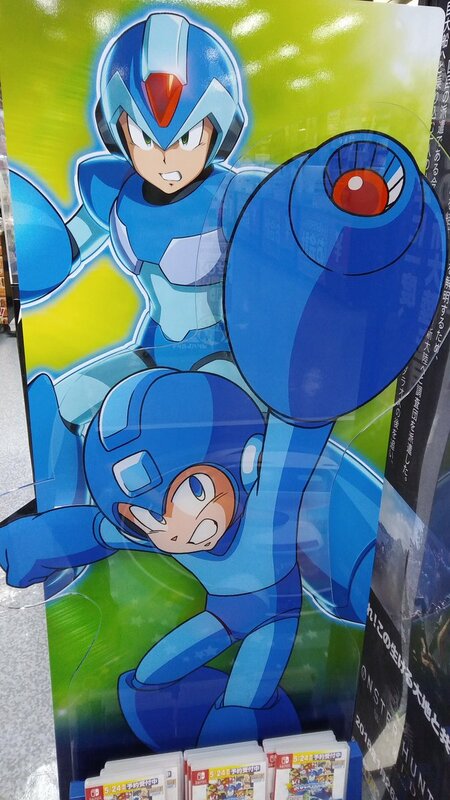 Today, a brand new piece of X artwork was spotted outside Yodobashi Camera in Yokohama by rin_asei. The image was found alongside an unrelated kiosk advertising the Mega Man Legacy Collection 1+2 for Nintendo Switch. 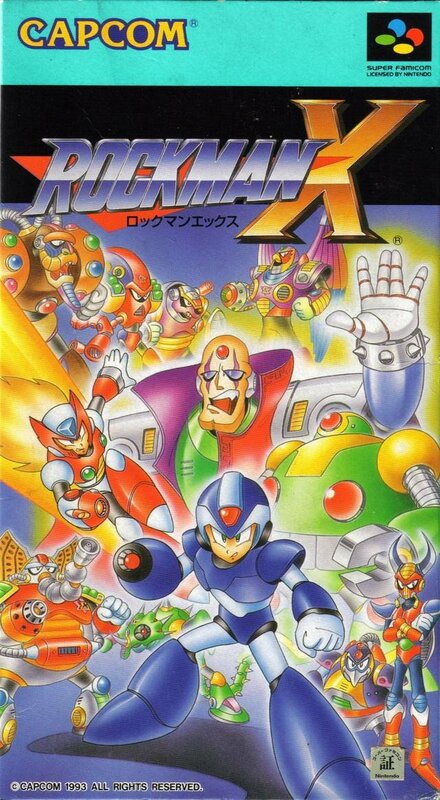 Interestingly, X is holding a pose that's strikingly similar to the Japanese Rockman X1 cover art seen here. If this artwork is indeed legit – which it very likely is – it could mean Japanese retailers recently began recieving Mega Man X Legacy Collection promotional material. That in itself suggests an official announcement is coming in hot. For the uninitiated, we've known since December that all eight Mega Man X games are coming to consoles and PC later this year. What hasn't been officially confirmed, however, is the release format. Early ratings from the OFLC suggest it will take the form of two separate collections. A rating from the BBFC provides further evidence, going so far as to imply a number of video extras – including the entirety of The Day of Sigma – will be feature in a gallery mode. So all in all, an X Legacy Collection (or two) is happening. We're just waiting for Capcom to announce it. Thanks to MegaSegaDrive for the tip! Mega Man's freakishly huge buster covering half of X is making me bust a Mega-gut. I know it's a forced perspective shot, but duuude, don't. I know man I wanted to see the full pic of it but MMLC1+2 has to sell first before we see it. Those proportions and that overall art style--especially the face--is my favorite for X. I'm glad to see they're bringing it back. That does not look like X/X2 artstyle, at least not exclusively. The proportions seem like a middle ground between the kinda midgety look of the first two games and the taller look of X4 and such same with the overall artstyle. But in my opinion the sharpness and overall clean digital coloring and lining makes it feel closer to X4's artstyle. I wonder if that display is official, I guess we will see more of them pop up if indeed is official, but looks kinda empty, usually store displays in Japan have text. So they are going to actually make new art rather than chop up existing assets? Good. Very good. I would hope they do something of a new redesigns like megaman is getting. Otherwise though this is a good start. The art is beautiful. Where was this poster found? What retailer? They are going to announce it soon, I believe. I hope that they are release both physicals.. Not one physical and one digital! I want to see the cover art for this collection. And see many old bosses like X-Hunters get a new artwork in years. I've read the signs. There'll be an announcement soon. Just have to give Capcom a little push! Might at as well get this out of the way now before it gets taken seriously. Hey protodude I have a fear of you ending up as my teacher in college and being called a disgrace of a student and mega man fan when I don't have good grades. That's some pretty nice X art right There! Let's see the Armors!